There is an old joke about the tourist visiting New York who asks a musician how to get to Carnegie Hall, the musician replied: "Practice, practice and practice!" Are you practicing enough? Are you practicing correctly? The answers to these questions often govern our development as shooters. Dr. K. Anders Ericsson is a leading authority on how humans achieve expert-level performance in a given activity. Ericsson's research is the basis of Malcolm Gladwell's popularization of the so-called "10,000-hour rule," which suggests that it requires at least 10 years and/or 10,000 hours of deliberate practice to achieve an expert level of performance. You would have to practice almost three hours per day, every day, for 10 years to log 10,000 hours of practice. These are big numbers. So big in fact that you can easily miss the most important factor in the equation — deliberate practice. In Ericsson's research, he considers three circumstances in which we perform an activity: work, play and practice. Work is associated with pursuing an activity for external reward (e.g. salary, recognition, etc.). Play is activity without an explicit goal and is pursued for the inherent enjoyment of the activity itself. Practice is an activity specifically designed/intended to improve performance. Within the shooting sports, "work" could equate to shooting a match. Beyond gaining experience at reading and planning how to shoot a stage (granted, an important match skill), participating in a match offers little opportunity to improve actual shooting ability. "Play" can be equated to recreational target shooting, plinking, etc. — shooting that is enjoyable but has no specific purpose or goal other than enjoying the activity. And finally, "practice" shooting sessions, dry practice and similar activity that should encompass structured drills with specific goals designed to improve performance. Ericsson discovered that deliberate practice is the focused activity that helps develop elite skill levels. However, this is not the kind of activity that most of us would call practice. The activity that most of us typically associate with practice is mindless practice. Have you ever observed an athlete, musician or shooter engage in practice? You'll notice that the activity generally follows a pattern — we simply repeat the same thing over and over. The same tennis serve, the same passage on the violin, the same draw-and-shoot holes in the target routine — often while our brains are on autopilot and simply coasting through the repetitions. While this might look like practice, it is really nothing more than mindless repetition. Unfortunately, there are several problems with practicing this way. First, it's a waste of time because little productive learning takes place. This is why you can "practice" something for hours, days or weeks and still not improve much. Even worse, you are probably digging yourself a hole, because this model of practicing strengthens undesirable habits and errors as well. This model also makes it more difficult to correct performance problems later on — you are essentially adding to the amount of future practice you will need in order to eliminate the undesirable habits and errors. Practice doesn't make perfect, practice makes permanent. Second, mindless practice lowers your confidence, as a part of you realizes you don't really know how to produce the results you desire. Even if you occasionally have good stages, there's a lingering sense of uncertainty about your skills. Finally, mindless practice is overwhelmingly dull. We've all had fellow shooters tell us to go home and practice our draw or reload a certain number of times, or go to the range a shoot a particular drill. But can we actually measure our improvement in units of practice without knowing whether what we are doing in these units of practice is actually correct? I don't think so. What measurably improves our performance are more specific results-oriented processes — such as reducing your dwell time from the moment the sight picture is correct until you break the shot or ensuring that you obtain a correct firing grip every time you draw the pistol from the holster. "Our review has also shown that the maximal level of performance for individuals in a given domain is not attained automatically as function of extended experience, but the level of performance can be increased even by highly experienced individuals as a result of deliberate efforts to improve," Ericsson writes. Where should you place your thumbs on the pistol as you solidify your grip during the draw stroke? How do you reduce excessive dwell time and break the shot as you come to full extension? Where should you stop as you move into a new firing position? We discover the answers to these questions through the process of deliberate practice. Deliberate practice is often slow and involves careful, correct repetition of small and specific elements of a skill instead of just pushing through. Deliberate (or mindful) practice is a systematic and highly structured activity that consists of an active and thoughtful process of hypothesis testing where we constantly seek solutions to clearly defined problems. Define the problem. For example, the defined problem could be "I am not obtaining the correct, perfect grip on the pistol in the holster every time I prepare to draw." Analyze the problem. What is causing me to be inconsistent in my grip as I draw? You might discover that the holster you are using is canted in such a way that it is difficult to replicate a perfect grip every time — or that your holster position does not allow you to grasp the pistol with all three fingers in the correct firing grip. Can you adjust the holster to correct these problems or should you look for another holster design? Identify potential solutions. Look at every possible way in which you could place your hand on your pistol, in your holster, where you carry it, that allowed you to obtain a perfect grip on the pistol. Through this process, you will discover exactly how a correct grip feels and the most efficient way to achieve that grip. Test the potential solutions and select the most effective one. 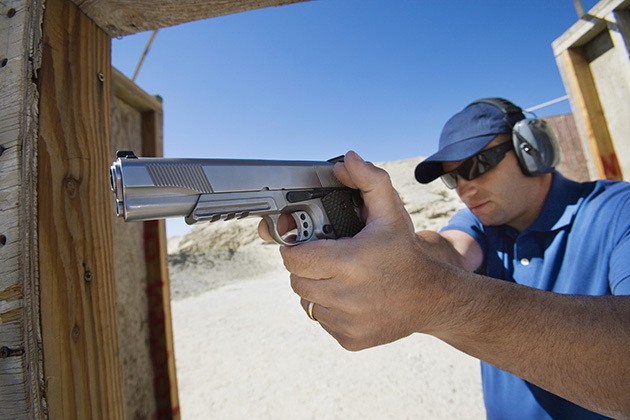 Should you change the way you grip the pistol? Is a concealment garment causing the issue? Implement the best solution and reinforce the changes through dry practice and live fire. Monitor the implementation of your changes during practice and matches. Am I producing the results I'm looking for? I have discovered that monitoring the implementation of your changes is critically important. Previously-acquired bad habits are always waiting off to the side ready to step back in and negate your hard work. It is easy to lose concentration and allow these habits to return. The deliberate practice model would suggest you examine every discrete action you perform when drawing the pistol to discover the optimum combination to enable you to perform a perfect draw every time. Then, you move on to extension to fire, reloading, transitions, etc., once again examining every discrete action you perform to complete each task. This is obviously not a trivial undertaking if you are serious about improving your performance, which might explain why few take the time to practice this way. To stop, analyze what went wrong, why it happened and how you can produce different results the next time is an involved process. "In the absence of adequate feedback, efficient learning is impossible and improvement only minimal even for highly motivated subjects," according to Ericsson. "Hence mere repetition of an activity will not automatically lead to improvement in, especially, accuracy of performance." Decades of research into human performance indicate that obtaining information to identify error is critical to learning and improving motor skills. Feedback information regarding performance errors is critical to learning and improving your skills. The process of observing and obtaining feedback on your performance is a critical component of deliberate practice. We incorporate feedback into our deliberate practice through monitoring our performance — observing our performance in real-time and via video recordings — continually looking for new ways to improve. This means being keenly aware of exactly what you are doing so that you can determine precisely what went right or wrong. For instance: "As I transitioned from target one to target two, I overshot the down zero. I recognized this just before I broke the shot so I could have taken one instant to correct the sight picture and hit a down zero instead of a down three." You then examine how you move your eyes to the next target, how rapidly or forcefully you swing the pistol as you transition, how you prep the trigger, and when to break the shot as you attain the correct sight picture. Video helps immensely as you assess the quality of your practice and performance, because you can review what you are actually doing as many times as you need to in order to identify any performance errors or issues. A friend of mine was working on speeding up his revolver reload. As I watched him do the reload, I noticed that once he released the cartridges into the cylinder, he was tossing the speed loader away before he closed the cylinder and recovered his grip. He was not aware that he was doing this. Analysis of a video of the process showed that this tossing movement was costing him .25 to .35 seconds per reload. Easily several seconds or more per match — time he could save by simply releasing the speed loader and letting it fall away as he closed the cylinder. 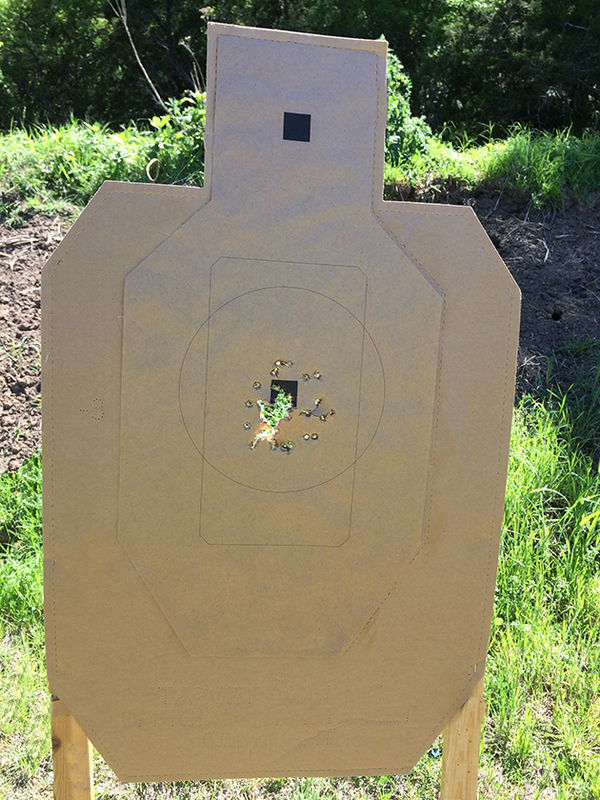 When he saw the video, he realized this extra motion was costing him time — he could now focus on how to correct his reload to eliminate the extra movement. I routinely video students as they perform shooting tasks. Just as routinely, the students are astonished at some of the things they do subconsciously. The analysis of these videos does take time, but I have found it to be a great tool for helping students improve their performance. If this sounds like a lot of work, that's because it is. However, whether you are trying to improve your own performance or that of your students, it is worth the effort. As simple as this may seem, it took me years to understand. To this day, it remains the most valuable and enduring lesson I learned in my 30-plus years of firearms training and instruction. Your practice plan is your road map to success. Identify your goals for improvement, break down each specific movement or task necessary to accomplish the goal, plan your practice session, and keep track what you discover during your practice sessions. If you have a crystal clear idea of what you want (e.g. a .60 or fewer seconds to transition between targets with a down zero), you can then be focused in your efforts to improve. When you stumble onto a new insight, take the time to write it down. As you practice more mindfully, you'll began making so many microdiscoveries that you will need written reminders or you'll risk forgetting them. If you wish, you can do an audio or video recording of the insights and transcribe it to your notebook or computer later. That way you don't interrupt the flow of your practice. Limit your practice sessions to a duration that allows you to stay focused. For dry practice sessions this may be as short as 10-20 minutes or as long as 45-60 minutes. For range sessions, given the time, effort and expense involved (for most people), we should plan a variety of specific tasks to practice with appropriate breaks. When things aren't working, sometimes we simply have to focus more. However, practicing something that just is not working is counterproductive; there are times when we must try something different. Instead of stubbornly persisting with a strategy isn't working, we need to stop and rethink what we are doing. Take the time to brainstorm potential solutions to the problem for a day or two. Write down ideas as they occur to you and then flesh out these ideas through experimentation during dry practice. When you discover a solution that seems to work during dry practice, go to the range and test your solution during live fire. If you have skilled fellow shooters or mentors, discuss the problem with them. Your fellow shooters may have traveled the path you are now on and can help you avoid the pitfalls and mistakes they made. A master once said: "You learn to shoot in your first 100,000 rounds. In the second 100,000 rounds, you correct the bad habits you learned in the first." If you don't have a mentor, take classes and seek training from more advanced shooters. Real confidence comes from being able to consistently nail a stage and know that this isn't a coincidence but that you can do it correctly on demand. Real confidence is knowing precisely how to correct a problem or misstep because you have identified the key movement or physical factors that are necessary to correctly perform the action every time. Time is our most valuable commodity, and we will never have enough. If you're going to practice, you might as well do it right. In Part 2, we examine the physiology behind learning.